Critical Analysis: Who is Yair Lapid? Even though I wrote this below, I believed it deserved it's own post. 1. 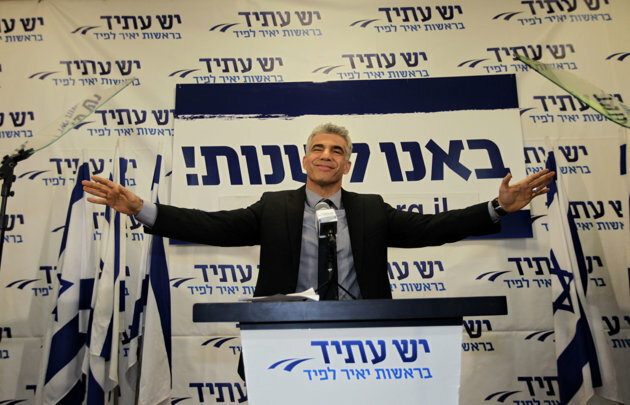 Yair Lapid is already predicting he will be Israel's next prime minister. Unfortunately, he never finished high school, or completed his baguryot (high-school matriculation exams) or went to college. However, as a media personality he got into Bar Ilan's accelerated doctorate program -- which is supposed to only be for those who finished an undergraduate degree with honors...he was eventually thrown out of the program for not meeting the admission requirements. Granted there are many autodidacts who lack academic accreditation and attain success in business or academics or education; Lapid isn't one of them (keep reading). 2. Lapid used his personal YNET column to childishly insult and viciously lambast an awarded, outstanding IDF soldier, and used illegally obtained private and classified IDF information against the soldier. When sued in court, Lapid lost. Not exactly the moral and ethical beacon for Israel. 3. Lapid is pretentious yet grossly ignorant at the same time. While he may come across as a dynamic media personality, when he puts pen to paper, his lack of intelligence shines through. Let's take an article he penned about Israel, "Israel Democracy Institute says 81 percent of the public wants a constitution; not me." Lapid explains why the US Constitution is work of art -- because it was penned by a single author [sic], John Adams[sic], as opposed to a committee [sic] -- which is the way Israel is attempting to create one. Israel's proposed constitution by consensus is an erudite text, maybe overly so. It lacks the emotional depth of the US constitution, not to mention the moral courage of the “Founding Fathers” to deal with controversial issues. It could be that the different way in which the two constitutions were written influenced their content. One very inspired man, John Adams, wrote the US constitution. The Israeli proposal by consensus, with all due respect to Meir Shamgar, the former Chief Justice of the Supreme Court, was written by a committee. It would have helped had Lapid has the time, energy or acumen to at least read the Wikipedia article on the US Constitution to know that it WAS written by committee, not one man, and certainly not John Adams who wasn't even on the committee or in the US at the time, he was in London. If you think that's embarrassing, its only the tip of iceberg. Here's a short video (in Hebrew) with a whole slew of intellectual gaffs by Lapid which appears to show a pattern of attempts to drop names and facts which aren't that factual or connected. Yair Lapid: The greatest tragedy of the Israeli-Palestinian conflict is that everyone knows how it will end. We will divide up the region. Israel will return most of the West Bank, and the Palestinian flag will fly on public buildings in East Jerusalem. The only unanswered question is how many more people will have to die along the way. And so we will fight against the extremists on both sides, including our extremists, the settlers. When you look at the history of wars, they ultimately revolve around one claim: "My god is better than yours." It's clear that Lapid is intent on splitting Jerusalem, something Dov Lipman adamantly denies. He hates settlers and is intent on ensuring we all know who the "extremists" are. Lipman has gone on record saying that he's in favor of keeping settlement blocs -- as an FYI, this means Hebron will be of Israeli control (and it also makes you an extremist to expect the Cave of the Patriarchs will remain under Israeli control). 5. While Dov Lipman claims that the "real" Jewish Home is his own "Yesh Atid" party, Yair Lapid's Jewish Home is a Reform Temple in Tel-Aviv. I have no issue with Lapid's connection to the Reform movement in Israel, or even providing them with funding which they deserve. I am concerned that the lowest common denominator of Judaism in Israel will be changed (religious status quo of halachic Jewishness), which will fracture the Jewish people in Israel, prevent marriages, and will result in far more disunity than unity. While many have been extolling the virtues of Lapid, he's simply a popular media personality who lacks the intellectual depth, and moral/ethical foundations required to be a serious leader in Israel, let alone Prime Minister. Yesh Atid member and future parliamentarian Rabbi Dov Lipman relinquished his US citizenship on Tuesday so as to be allowed to take his seat in the 19th Knesset. 5. While Dov Lipman claims that the "real" Jewish Home is his own "Yesh Atid" party, Yair Lapid's Jewish Home is a Reform Temple in Tel-Aviv. I have no issue with Lapid's connection to the Reform movement in Israel, or even providing them with funding which they deserve. I am concerned that the lowest common denominator of Judaism in Israel will be changed (religious status quo of halachik Jewishness), which will fracture the Jewish people in Israel, prevent marriages, and will result in far more disunity than unity. 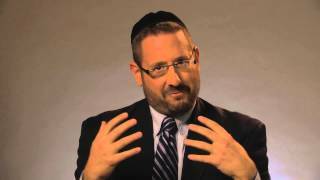 Poll: Why does MK-elect Dov Lipman not want to lose his US citizenship? "If a Knesset member holds an additional, non-Israeli citizenship, and the laws of the country whose citizenship he holds permit him to be released from such citizenship, he shall not declare allegiance until after he has done everything required on his part to be released from such citizenship, and he shall not enjoy the rights of a Knesset member until he makes his declaration." We decided to figure out if there are any other reasons that MK-elect Dov Lipman doesn't want to give up his US citizenship. In our on-line poll - which do you think is correct? 4. Thinks the law should only be intended for Meir Kahana and not for progressive rabbis. 3. Won’t be able to be considered an “Anglo” representative anymore. 2. What will the "non-Jews" say? 1. Doesn’t want to lose out on the $1000 per child IRS tax rebate. MK Lipman - Welcome to the big leagues -- Political satire is the highest form of flattery! PS: If you had any doubts about Yesh Atid's founder, here's a great video extolling Lapid's intelligence on a wide range of subjects. History of Israel: When is a Palestinian not a Palestinian? I usually write about the Jewish history of Israel. This time around, a short piece on the flexibility of national identity among our neighbors. Less than a century ago, the Christian residents of Bethlehem did not identify themselves as Arabs, and even less so as the indigenous peoples. In welcoming the conquering Anglos, they eagerly associated themselves with the conquering imperial power. "Bethlehem is a Christian city.. The people declare that they are not Arabs, but that they are descendents of the Crusaders. They certainly are not generally so dark and swarthy as the Arabs. All the women have colour in their cheeks and many have blue eyes, and their dress is interesting and picturesque. Apart from its attractive colouring - a sky-blue robe with red girdle and embroidered jacket - they wear a head-dress extraordinarily like that of the ladies of the Crusaders of old... "
See here for an archive of articles about our history in Israel. There is an interesting phrase used in Israel which is recited when one unexpectedly encounters a person for the second time within a short period: pa'am shlisheet, glida ("third time, ice cream"). This is commonly understood to mean: If we soon run into each other again (the third time), you will buy me an ice cream (since I was the one who said the phrase). Some believe that the phrase is based on a similar German one. But the German one doesn't mention specifically the third time, and refers to a drink instead of ice cream. Some have suggested that it is based on a British saying “third time, I'll scream”, which Israelis would supposedly have heard during the British Mandate period about 75 years ago. 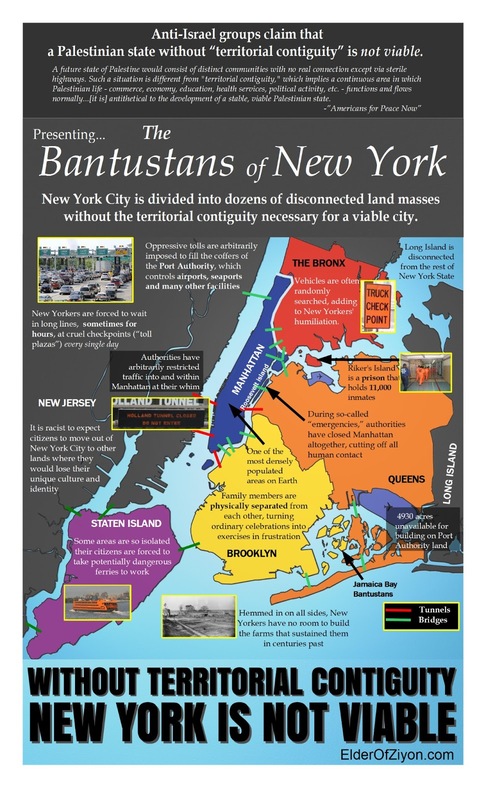 However, this too, has been debunked – since there is no British phrase like that! So, we would like to postulate a new theory, one based on the first three times that the Israelites eat and drink after being freed from Egyptian slavery – all three of which are described in this weeks's Torah portion of Beshalah. After the crossing of the Red Sea, the Israelites traveled to a place named Marah, their first campsite following their final escape from the Egyptians (Exodus 15:22-26). Finding no drinkable water there (hence the name Marah, meaning "bitter"), the people began to complain. Moses cried to God for help, and God responded by showing Moses a tree. Moses cast the tree into the bitter water, miraculously turning it fresh and drinkable. Thus were the Israelites provided with water to drink at their first campsite. From there, the Israelites proceeded to the oasis of Elim, their second campsite (Ex. 15:27). There, they found 12 fresh water springs and 70 palm trees. Thus were the Israelites provided with not only water to drink (as previously), but also dates to eat. Next, the Israelites trekked toward their third campsite, which was in the wilderness of Sin (Ex. 16:1-36). Once again they complained, this time about the lack of meat and bread. And again, God responded by miraculously providing for them: That evening, a flock of quails covered the campsite, and in the morning, God sent down manna from the heavens – the first occurrence of a miracle that repeated itself every day apart from the Sabbath, for the next 40 years. With the above in mind, the meaning of pa'am shlisheet, glida ("third time, ice cream") finally becomes clear: The first time the Israelites ate or drank after leaving Egypt, they had water. The second time, they had dates. And the third time? 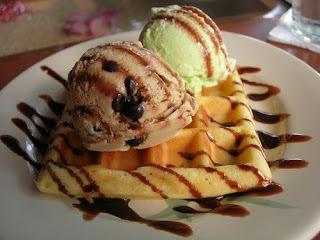 Glida – ice cream! Arnie Draiman is a humor aficionado and a big fan of Ben & Jerry's but still doesn't understand why you have to wait for the third time. Lurker lives somewhere, and posts on the Muqata when he's in the mood. 10:13 PM I'm off to bed having been up since much too early this morning. Will update in the morning when we have more complete results. 10:03 PM Updates below...more coming from other channels. 9:55 PM Channel 2 says tonight will be a long night, with lots of drama. As I wrote earlier, it will be too early to have final results at 10 PM. ...still to early to know. Caveat; The numbers for Bayit Yehudi and Shas can go up at the expense of Amnon Yitzchak, Otzma lYisrael and Am Shalem. However, I don't believe we will have a real results till 3-4 AM Israel time....maybe even later. 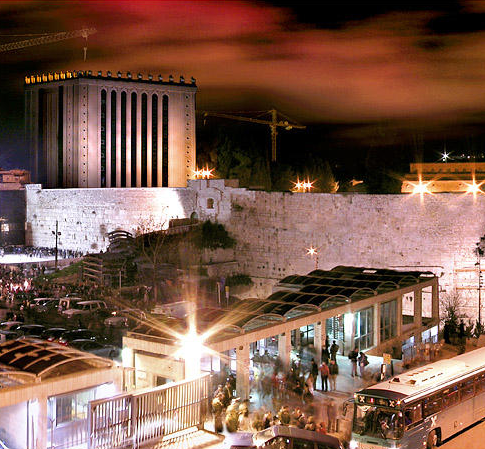 The Muqata's Guide to Navigating Israel's 2013 Election. 1:21 PM Post updated to reflect some phone calls I've received regarding my post below, and parties below the "threshold". Israel’s “Democracy Holiday” is tomorrow, and those of us fortunate enough to live in Israel get a chance to try and influence the direction the country will take over the coming years via our national elections. Unfortunately, many people are still undecided who they will vote for tomorrow, so the following is my modest attempt at providing some guidance to help you make up your mind. For Israeli Left-wingers: As an attempt to find the lowest common denominator for Israeli leftists who take pride in being Israeli and Zionist – and leaving the 1967 territories and the de-centralization of Judaism from Zionism and/or Israel is major part of your agenda, the Muqata Blog advocates that you vote for Meretz. Meretz MK Zahav Galon is an outspoken MK who keeps her agenda focused in the Knesset and in the media – more than any other left wing party. Don’t be fooled into voting for Da’am – they believe that social protests must be political to be effective, which is the ultimate reason why social protests will fail in Israel. Politicizing them disunites the people and keeps social activists from the center or right from joining forces with them. Withdrawal to the 1967 borders (incl. leaving the Golan), the establishment of a fully independent Palestinian state, and the dismantling of all settlements. There is no explanation given for what to do with the 5 million plus Arabs demanding the right of return (Meretz is not in favor of the “right of Return” nor is there an explanation for what to do with Hamas or any of the other active terrorist groups. Transformation to a socialist economy, including increasing the national deficit and nationalizing non-profitable industries. Meretz knows that a socialist national economy would be a disaster. No deportation of migrant workers, and their full integration into the Israeli workforce via unionization together with Palestinians from the Territories (unclear why the Territories still exist in the overall Da'am scenario). Bottom line: Zionist Left – vote Meretz! Voting for a party that doesn’t pass the “ahuz hachasima” is a wasted vote. Don’t bother voting for a party that is too close to not getting into the Knesset – be pragmatic, otherwise you risk wasting your valuable vote. Israeli elections are about pragmatism and how to work the system to maximize the best result matching an individual’s ideology. Vote for a party that will definitely get in. If the party you most identify with is so small that it has no chance of passing the electoral threshold, it might be wise to vote for a party that doesn't fit as well but that will almost certainly be represented. However, if you most identify with a party that is polling close to the threshold - at the 1.5-2.5% range, your vote is in fact worth double. Chances are always pretty slim that your vote is the one that pushes your party's representation from X to X+1 Knesset Members. But in the case of the small party, your vote has the chance of pushing the party from 0 to 2 MKs. The entire equation - figuring out what your vote might mean for how the excess votes are distributed at the end, how it impacts other parties, etc. - is pretty complicated, but the basic calculation, especially figuring that a particular party is already in a border area between representation and non-representation, obviously mitigates in favor of voting for the small party. 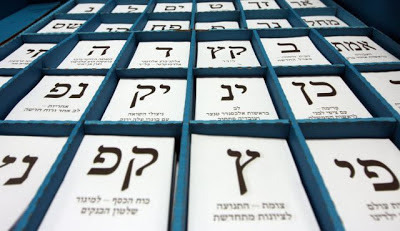 So if you most closely identify with Kadima, Am Shalem, Aleh Yarok, Eretz Chadasha (borderline - polling at 1.4%), or Otzma Le-Yisrael (I have not seen numbers for Da'am), then that is you should vote for. AddeRabbi's presumption is that the above small parties are close enough to the threshold for your vote to make a statistical difference. That may be the case for Am Shalem and Otzma L'Yisrael, but I'm not fully convinced. Regardless -- I suggest you read his post and decide. Rav Amnon Yitzchak runs the risk of missing the minimum votes needed to get into the Knesset. Result: Wasted Vote. Rav Amsalem runs the risk of missing the minimum votes needed to get into the Knesset. Result: Wasted Vote. Otzma LYisrael (Eldad and Ben-ari) runs the risk of missing the minimum votes needed to get into the Knesset. Result: Wasted Vote. Aleh Yarok (Legalize Marijuana party and neo-Libertarian party) runs the risk of missing the minimum votes needed to get into the Knesset. Result: Wasted Vote. Kadima/Shaul Mofaz thankfully runs the risk of missing the minimum votes needed to get into the Knesset. Result: Wasted Vote. While I think that Yair Lapid’s party is simply a respin of existing centrist parties, and will eventually disappear like all the previous ones (Kahalani’s Third Way, Lapid’s father’s party -- Shinui, Kadima, etc.) – yet you feel torn between voting for Lapid and Tzippi Livni, PLEASE vote for Lapid’s Yesh Atid. Tzippi Livni is perhaps Israel’s most cynical politician who has successfully failed at everything she set out to do. From negotiating the humiliating UN resolution which ended the Second Lebanon War’s (none of Israel’s objectives were achieved), and Hizbollah has kept to none of the UN’s resolution’s cease-fire terms, to failing to form a coalition government after last election despite being the largest party, to being thrown out of her party’s leadership in shame, to founding a NEW party with Amir Peretz as her #2, Livni is a disaster. For me, the final straw was bashing Bayit HaYehudi because of the “scoop” that Yigal Amir was voting for them. Maybe we should remind everyone that a convicted sexual molester (Haim Ramon) supports Livni, (oh wait, that actually is relevant because he was an actual party colleague of hers. Lapid is on record against splitting Jerusalem, so that’s also better than Livni who is in favor of splitting Jerusalem. Bottom line, if you are wavering between Lapid and Livni, go with Lapid. If you believe in making Israel’s economy more socialist, and that negotiating with the Palestinians is crucial for Israel’s survival – then go with Labor and Shelly Yachimovtch. Shelly doesn’t advocate the same hatred towards the right or towards settlers as her predecessors, and routinely attempts to paint Labor as a centrist party, despite radical leftist and radical feminist, party-colleague Meirav Michaeli who has called on people not to serve in the IDF. If you are a left-leaning centrist or socialist, then vote Labor! If you are Chareidi and are compelled to for a Chareidi party, please vote for Aguda/Degel HaTorah and NOT SHAS. Shas is rabid now, and they are calling the Bayit Yehudi, “Goyim”, “Kofrim” [infidels] and “Resha’im” [wicked]. We have enough hatred in the country already – besides, Shas leads the country in convicted MKs from a political party (Peretz, Levy, Deri and Pinchasi) – even more than Kadima (though there is still a chance that Olmert will finally be convicted and even up the score…) so don’t vote Shas. Please, don’t vote for Shas. For the sake of a more ethical Knesset. And now….for the center to right wing voters. Likud Beitinui and Bayit Yehudi. For the sake of honesty, I will preface my remarks by saying that I am a member of Likud’s Central Committee for the past 12 years. I don’t take pride in many of the Likud’s actions over that period and the Disengagement from Gaza was the lowest point in the Likud’s history – when Sharon promised that a membership referendum would determine if he would push the Disengagement policy or not. Sharon lost, the Disengagement lost by over 70 of the membership vote, and Sharon spat in our faces and did it anyway. Eight years later, many of the Jewish refugees from Gaza still have no permanent housing or jobs. Netanyahu has gone on record about a “2 state solution” which is in direct contradiction to the Likud party platform and the against the majority of candidates on the Likud MK list. However, the Likud the current government (i.e. Likud) has been one of the best governments for the settlement movement in many years. The Likud has enacted many laws, including the two high profile ones: “The Embargo law” and “The Referendum law” making it harder to uproot settlements. The Ariel College has been upgraded to a University and owing to our Likud Minister of education 10’s of thousands of school aged children have visited Hevron, as part of their school trips for the first time. Investment in Settlement infrastructure, roads, culture is at its highest in over a decade – despite crazy international pressure, and we are finally seeing new housing projects as well. The Likud has kept our country’s finances in order, and Israel is a relative island of calm in a sea of international financial turmoil. Yes, it’s not easy to make ends meet, yet the global recession has demolished other countries such as Greece and Spain where unemployment is soaring. The majority of Israelis are living in homes, with food on their tables and their children are getting a decent education. Life isn’t perfect, but no other party is capable of steering Israel through these challenging financial times – without causing hyper-inflation, excess taxation, and reducing our start-up nation status to that of the previous Soviet bloc collapsed communist society. A larger Likud enables more high profile positions to remain within the party. As foreign ministry is going to Lieberman (or his replacement), and I don’t see interior or finance ministries leaving the Likud, the chances of Defense (i.e. Boogie) remaining in the Likud are slim with a smaller Likud party. So ask yourself the question – do you prefer Boogie as Defense Minister (think housing permits and defending Israel from Iran) or Nisan Slominiansky (Bayit Yehudi) as Science Minister? A smaller Likud always incurs the possibility of the President tasking some left wing amalgamation with the formation of the government. Arab and Non-Zionistic parties have no qualms with such a move and owing to the ideology of our current president – this is unfortunately quite possible. On the flip side, Naftali Bennett has revolutionized the Bayit Yehudi [Jewish home] party – eradicated the vile “Mizrachi/Mafdal old boys network” and infused it with a young, dynamic and democratic spirit -- proud of the religious Zionist ethos, proud of outstanding contributions to the IDF, and not being afraid to call Jerusalem and the entire land of Israel, OURS. The Bayit Yehudi party competes with Lapid’s party as the #1 choice for first time voters, even among NON RELIGIOUS voters! Bennet is to be seriously commended for having turned the party around and it is poised to make history with the most seats ever for the Mizrachi/Mafdal religious Zionist party. While my heart would love for me to vote for Bayit HaYehudi's list – and I admire each and every one of their MK candidates, my head personally tells me to vote Likud. Vote for either one – and you won’t go wrong. I yearn for the day when a large Likud/Bayit Yehudi exists togther – since the real hope for Israel’s future is the unification of parties, and not the splintering of them. Unity is the way to go. And on that note, I urge all Israelis to get out and vote tomorrow – provided you are voting for principals and not because you think Yair Lapid is “cute” or that you believe Livni’s message that “her party is the only one that will “fight” for a diplomatic peace treaty with the Palestinians”. Wishing us all good luck! Does a "Palestinian Entity" require territorial contiguity? Coming soon (today) -- Helping you Vote in Israel's Election! With a huge number of people unsure how they are voting tomorrow, the Muqata blog will be posting later today an authoritative post on our recommendations how Israelis should vote tomorrow. We'll be (somewhat) objective, and provide alternatives for the Right, Center and Left leaning sane Israeli voter who is still undecided (which is MANY of us). 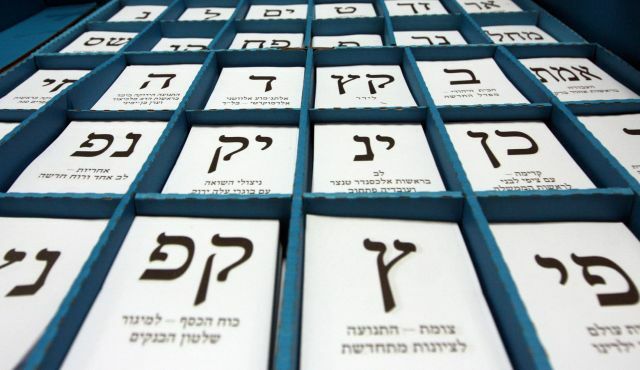 For those Hebrew speakers -- remember - if you don't vote, you will not be able to kvetch or complain for the next 4 years. The kvetcher police will revoke your kvetcher license. How Will the Mosque Be Removed? Jeremy Gimpel jokingly mentioned in a video one method in which the Mosque on the Temple Mount might be removed. The question is, even in jest, was Jeremy right? With all due respect to this future MK, the answer is no, Jeremy wasn’t right. There are traditionally two interpretations as to how the Temple will be rebuilt. The first is the one that, for instance, Neturei Karta firmly believes. For them, the Temple will suddenly come down from heaven only after the Mashiach arrives (and the land is cleared of the Tsiyoinim), and human beings will have no apparent role in the matter. Following on the logic of that theory, the Neturei Karta apparently believe that the mosque will be squashed underneath the dropping Temple. I wonder if they've bothered to mention that to their terrorist friends over tea. But the more traditional belief is that we Jews will rebuild the Temple ourselves – and that is actually a far greater miracle. So as I asked in the beginning, "What about the Mosque, which is rather inconveniently sitting where the Temple should be, how will it be removed?" The simplistic answer is that it will be destroyed. Jeremy (jokingly) said explosives, while others say wrecking balls and bulldozers. But both answers are wrong. According to Jewish thought, the Arabs, at the time of the Mashiach will remain in Israel - but they will fully repent. 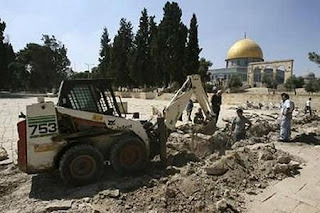 You see, when the miracle happens that we Jews will be united in our vision that it’s time to rebuild the Temple, the Arabs will be there too, and they will lovingly dismantle the Mosque stone by stone on their own volition, and rebuild it elsewhere. That is the second part of the miracle of the rebuilding of the Temple. In the end, the Arabs will want peace, will recognize the spiritual value of the Temple, will recognize what they have to gain by being allies of the Jews instead of enemies, and they will then take the peaceful steps needed to properly honor and worship God. May the Temple be speedily built in in our lifetime. Amen. 65 years ago this week, 35 young Haganah soldiers - mostly students at the Hebrew University - set out from Jerusalem to bring much needed supplies to the kibbutzim in the besieged Etzion Bloc south of the city. The soldiers were ambushed en route, and, despite fighting valiantly, the entire company was killed prior to reaching their destination. Toldot Yisrael's latest movie A Bravery Fiercer than Death: The 35 Heroes of Gush Etzion tells their tragic yet inspiring story. This is the fourth installment in the "Eyewitness 1948" short film series produced by Toldot Yisrael and was generously sponsored by the Alexander Family in memory of Shaul Pnueli, one of the fallen. The first three films in the series, Echoes of a Shofar, The Story of a Vote, and The Volunteers were made possible through the support of the Jim Joseph Foundation and others and have been viewed online over 450,000 times since the series launch in September 2010! A companion teachers guide including background information, discussion questions, and additional resources is available on their website.